Yob make music that sounds massive but aims for something more affecting on a personal, more intimate level. That kind of sonic scope is built-in for a doom metal band—heavy music is simply what they do. But the heaviness doesn’t always come from the sheer volume and power of the music that Mike Scheidt, Aaron Rieseberg and Travis Foster create. It’s something deeper and more intangible. It’s in the subtleties and intricacies of their music, and in the search for meaning that Scheidt pursues through his lyrics, which can come in the form of either earnest reflection or something more mystical and oblique. Yet that heaviness—that overwhelming emotional power—still exists when all of the loudest elements are stripped away. In a recent video shot for Revolver, Scheidt performed an acoustic, solo version of “Marrow,” the majestic closing track from the band’s 2014 album Clearing the Path to Ascend, on his father’s farm in Oregon. It’s stark and beautiful, still recognizable as the same colossal piece of music but gentler, more spacious. The overdrive is removed, but the intimately affecting aspect remains. 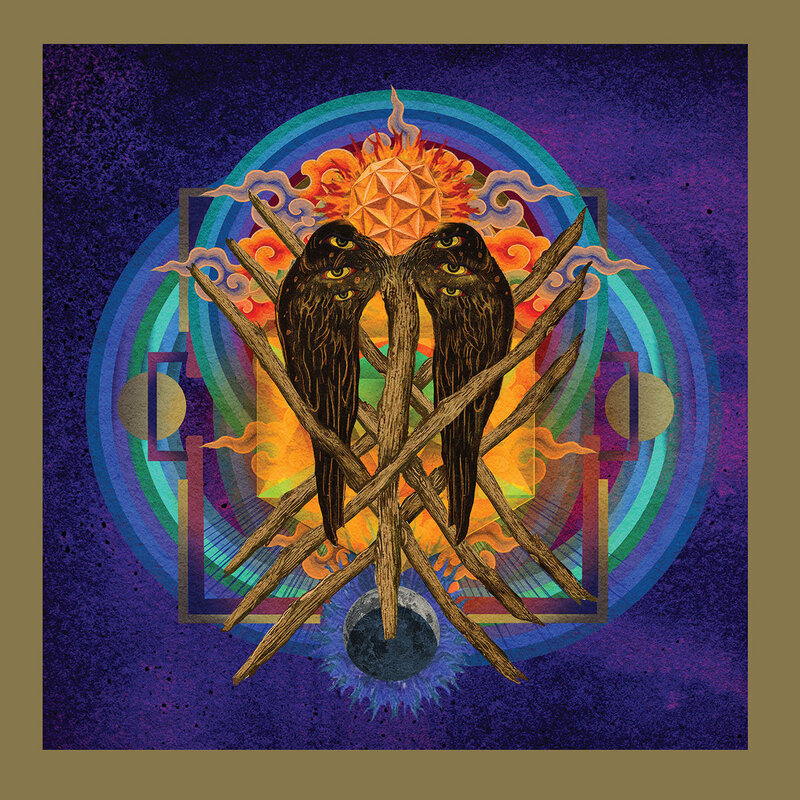 Yob’s new album Our Raw Heart, their eighth album and first to be released via Relapse, continues the band’s journey of melodic doom-metal ascension into more unexplored terrain. Much of the album seems to extend outward from the transcendent beauty of “Marrow,” the textures and sonic palette of the album still anchored by the band’s thunderous sensibility but reaching toward a more graceful, accessible form of heavy psychedelia. Leadoff track “Ablaze,” for instance, still roars with the heft of a classic Yob track like 2005′s “The Quantum Mystic,” but there’s a more intricate sensibility, a more overt sense of beauty that’s become a defining aspect of the band’s music. Our Raw Heart was written much like past Yob albums, over an extended period of time that represents what Scheidt says is about 1 to 10 percent of music he accumulates over several years, pared down to what the band sees as the seven best. So some of it, like the crunchy riffs of “The Screen,” dates back to before their last album, representing some of the brawny low end of Yob at their most visceral. 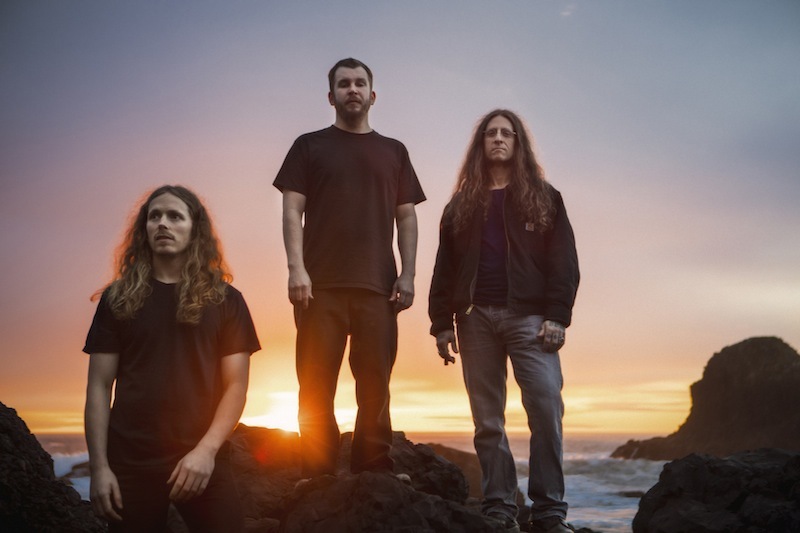 Yet the album also contains some of their most delicate material, like the spacious “Beauty in Falling Leaves,” or even a harder, faster, just-this-side-of-punk ripper like “Original Face.” It’s a representation not just of what Yob is, but what Yob can be. “With each album, the goal is to kind of have there be, I guess, a lineage. So it’s a foot in where we’ve been, and there has to be a foot into where we’re pushing ourselves,” Scheidt says. “Ideally we’re writing things that are just out of our ability, or really out of our ability and we have to work really hard and practice to accomplish those arrangements. And then comes the time to be out there and play the stuff live, but it forces us to get better. The journey that the Eugene, Oregon trio has been on through their career has been as much a spiritual one as a musical one. They’ve included samples of philosopher Alan Watts in their work, and Scheidt has been open about his own experience living with depression. A Yob song is often as much a yearning for truth as it is some kind of catharsis or joy, and their latest batch of songs is a continuation along that path. On “The Screen,” Scheidt bellows, “In the constant search/restless one” amid a tense series of drilling riffs. And there’s a more open-hearted message of redemption to “Beauty in Falling Leaves,” wherein Scheidt sings, “Been this way throughout time/Been this way throughout my life/Your hear brings me home.” Scheidt says that music for him, particularly as something he does with his friends and bandmates, is joyous and fun. But it’s also in large part a therapeutic release. Between the beginning of writing the songs that would eventually become Our Raw Heart and its recording, Scheidt was hospitalized after feeling a violent, sudden pain while grocery shopping. He was diagnosed with acute diverticulitis, an intestinal disease, and underwent two surgeries that literally saved his life. A crowdfunding campaign was set up to help pay for his medical bills, though it took some time before he could make music again. Scheidt’s health scare did, in part, play into the writing of the record, and its title track even seems to reference the trauma and subsequent recovery and outpouring of support that he experienced: “From holes in my gut/To love from miracles.” But he’s wary of letting the experience define the music. The more he discusses it, the more eager he is to move on to the next chapter. As Yob has entered their 22nd year as a band, they’re still moving along a continuum that began with the release of their 2001 debut, Elaborations of Carbon. Though the sound of the band has evolved, grown and become something less defined by the trappings of genre, some things certainly have changed for the band. The lineup, for one—Foster and Rieseberg didn’t join the band until after the release of Carbon. Yet there’s another element that’s changed dramatically for Yob: the audience. And that audience has grown considerably in just the past decade, the reverberations of their music reaching an increasingly wider number of people long after they began playing together. It’s something that’s given Yob reason to ponder what that means for them, even after establishing their musical identity through eight unique, albeit connected LPs. As that audience grows, it feeds into the broader intentions of Yob’s music. Scheidt talks about the audience more like that of a community. Yob might be the ones performing at their shows, but the people channeling or receiving it are a crucial part of what they do. Scheidt sometimes makes a “praying hands” gesture while onstage, and it’s common to read their live sets described as “spiritual.” It’s not uncommon to see people share a hug at their shows, even with Scheidt himself, which might seem rare at a metal show. But then again, Yob’s own website speaks volumes: Yobislove.com. A Yob show is about being part of something bigger, though Scheidt acknowledges that not everyone might be as invested in savoring that moment. And that’s OK too. Processing Yob’s music is something that takes time on the part of the listener, not just because of the slow-burn sensibility of their songwriting or the space they build within each composition, but because of the literal length of the songs. 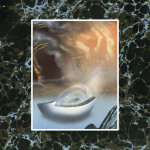 Tracks such as “The Great Cessation” or “The Mental Tyrant” surpass 20 minutes apiece. It’s an investment, but it’s one that’s intended to be repaid on a deeper level. After building up two decades’ worth of music, Scheidt says he hopes that Yob can mean something of significance to anyone who hears it. It’s heavy music—it should leave an impact.